For many consumers, bankruptcy may be your best option for a fresh financial start. Bankruptcy is often a solid approach for financial freedom for anyone with overwhelming debt, or whose monthly income is less than their monthly bills. In fact, approximately 1 in every 100 American households file for personal bankruptcy in some areas of the United States. Did you know that there are different types of debt? That’s right. Not all debts are created equal. For many people looking to find debt relief through bankruptcy, some of the easiest debts to eliminate include credit card debt, medical bills, rent, and utilities. These debts can meet a quick discharge in bankruptcy because they are unsecured debts; or, debts they are not tied to any asset or collateral. Unsecured debts like those discussed above often meet quick criteria for elimination. However, there are debts that are not as easily wiped out in bankruptcy. These are called secured debts, because they are tied to assets, collateral, or laws that prevent them from meeting discharge criteria. These debts generally include student loans, taxes, child support, alimony and court-ordered damages such as tickets and prior judgments against you. 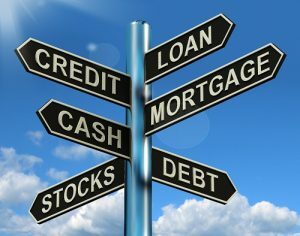 For many people considering bankruptcy, the question of assets, income and property weighs heavily on their mind. What will happen to these items in bankruptcy is often the first question brought to the attention of a Sacramento bankruptcy attorney. Depending on your state or if you choose to use the federal standards, you are allowed to keep certain property or assets when you file for bankruptcy. Most states allow you to keep your pensions, retirement accounts, clothing, and furniture. Some states allow you to keep your home regardless of its value, and some states only allow you to protect a certain amount of your home's equity. If you are over your head in debt and have tried to renegotiate or take out loans to catch up on your bills, it may be time to speak to a Sacramento bankruptcy attorney to see if you can eliminate your debt.